We spoke to Chris Powell (right), winner of the WSET Educator of the Year Award 2015 and managing director of Local Wine School, the UK’s only network of independent wine schools, offering fun and friendly wine tastings and courses across the UK. Local Wine School is a rapidly growing network of franchised independent wine schools. The business model is based around our core belief: wine tasting for everyone. We provide professional support in all the areas that are always difficult for anyone setting up their own small business, e.g. branding, marketing, web design, e-commerce, SEO, course design/scheduling, product development etc., which leaves our owners much more time to focus on what they love doing – speaking to people about wine! It took you a while to get to wine from your first degree in engineering. When did wine become a passion of yours? My life so far hasn’t been a grand plan – it’s been a gradual evolution of trying to find out what I’m good at and what I enjoy doing. Invariably they end up being the same thing! I think if you are good at something and have a passion for it, financial success follows – but it shouldn’t be the prime motivator. I don’t think I was ever a great engineer. It was never a passion, although the experience I gained from exposure to the commercial world later proved invaluable in building my own business. I went back to university, to Durham Business School, to take an MBA course to further my career when I was 33, but it took me another 7 years to realise that the world of engineering/management wasn’t for me! 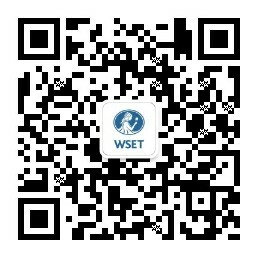 What made you take your first WSET course? Was it your first wine course? It was following my decision to change career. I was just exploring where my passion for food and wine took me – that was Oddbins in 1997. It was the branch manager who encouraged me to take my first wine course, WSET Level 2 Award in Wines and Spirits. How did you go about setting up the first Local Wine School in Newcastle? It was during my first year with Oddbins. I realised what I really enjoyed was organising private tastings for customers, and talking to them about wine. When people started coming into the shop asking if we ran wine courses, I realised there was potential for a business – I left Oddbins, and Newcastle Wine School was born! I don’t believe in the old adage, "To make a small fortune in wine, you have to start with a big fortune." It’s like all things in life – you get out what you put in. You sold your first franchise in June 2008. Was setting up your Local Wine School empire the plan from the start, or was it a natural progression? No definitely not! I ran Newcastle Wine School for 5 years, then one of my best customers convinced me that I should franchise the business model. What have been the most trying times in setting up and running the Local Wine School? Moving from running my own small business to building it into a brand/business model that is replicable. It involved a huge amount of work in designing and writing operations manuals, franchise agreements, etc. along with a considerable financial investment in lawyers, consultants, web designers, marketing agencies etc. etc.! Seeing fledgling wine schools grow into substantial and successful profitable businesses. And of course having our efforts recognised as Riedel WSET Educator of the Year! What are your plans for Local Wine School now? Filling in the obvious gaps in our UK network with passionate wine educators – we still need more wine school owners in London, Devon, Cornwall, Bedfordshire, Staffordshire, Aberdeen, and Belfast – plus finding the right partner to grow our network overseas. What advice would you give someone who doesn’t know much about wine and spirits but is entrepreneurial and wants to do what you have done? I don’t believe in the old adage, "To make a small fortune in wine, you have to start with a big fortune." It’s like all things in life – you get out what you put in. Having said that, if you want to make a living purely from wine education, you will need to build up your business quickly. To be successful you will have to have general commercial/business skills as well as expertise in branding, promotion/PR, marketing, web design/development, SEO, E-commerce, product development/testing, course/tasting design, social media and many other areas completely unrelated to wine education! That’s why a lot of people make the decision to join our network. What do you do when you’re not doing school-related things? I find cooking a great way to relax and unwind, especially whilst sipping a favourite wine! I also love cycling (only above 15C! ), wilderness/nature, skiing, tennis, golf and music – if only there was more time! WSET Level 1-3 courses are available through the Local Wine School network.